A patented and powerful multifunction shock product that works fast oxidize, sanitize and control algae in pool and spa water. The active ingredient is calcium hypochlorite, which is an ideal shock treatment chemical that, even with prolonged use, will not cause overstabilization. 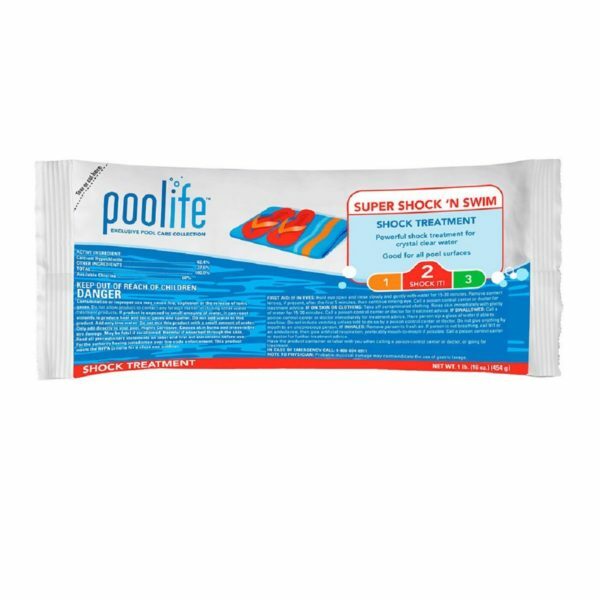 poolife® Super Shock 'n Swim shock treatment contains Epsom Salts for a more enjoyable pool experience.